It is a long trail of memory that this 22 year old young woman left behind. 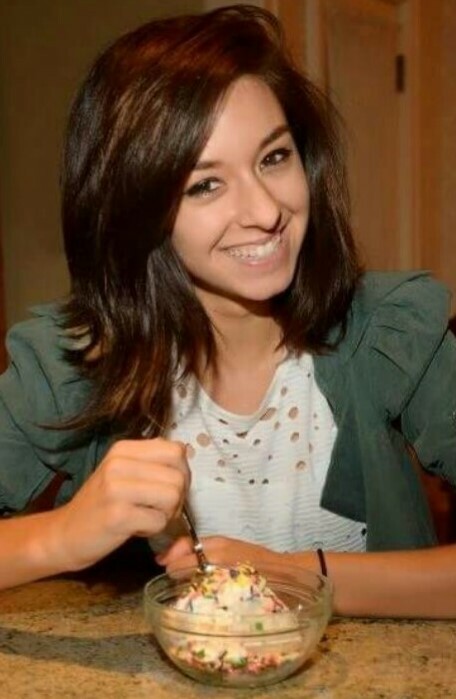 A year and a month have passed since the night Christina Grimmie was killed after a concert on June 10, 2016. A man she had never met fired five shots at point blank range as she opened her arms to welcome him with a hug at her meet-and-greet. She was welcoming a stranger, a person, as she had welcomed countless others in her short yet remarkable career. She wanted to touch people's hearts, inspire them, and help them to know they are loved. That was why she gave herself through her music. That was the way she lived, and the way she died. The music "industry" and the celebrity world have (for the most part) pretty much forgotten Christina Grimmie. They never gave her the attention she merited while she lived. They had no real excuse: her amazing talent was widely acknowledged. And her most recent posthumous musical releases only solidify further the judgment that she was already one of the most rich, versatile, and powerful voices of her generation. I will write more about her musical legacy another time. In any case, fame in this world is a fleeting thing, just another vanity blown away by the wind. Human beings are made for something more. 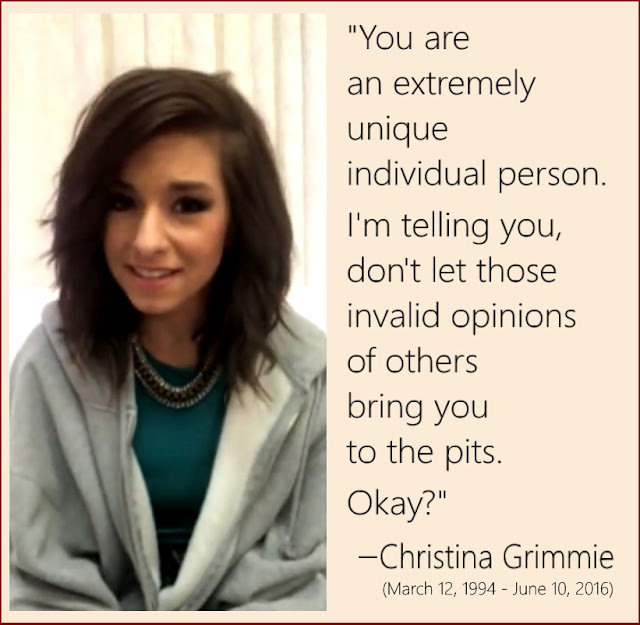 The multitudes of young people all over the earth who continue to remember Christina have not ceased to find encouragement even in their sorrows. Her greatest legacy is her enduring testimony to the real value of life. She continues to help people to discover and focus upon the dignity and the joy of being human.